NOVEMBER 13, 2014, PORTSMOUTH, Va. (NNS) – The Navy and Marine Corps Public Health Center (NMCPHC) hosted a webinar Nov. 12, in support of Tobacco Free Living Month. More than 70 health promotion professionals from the Navy, Air Force, Semper Fit staff and Defense Health Agency representatives dialed-in for the hour-long webinar that focused on reducing the use of tobacco on military installations through counter-marketing efforts. According to Dr. Mark Long, the Tobacco Free Living program manager at NMCPHC, all military services are keenly interested in exploring new avenues for helping to reduce tobacco use on military installations. He said a major part of this initiative is helping to increase awareness for the tobacco cessation resources that are available to health care professionals as well as tobacco users. 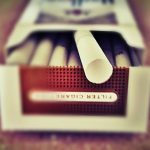 The webinar speakers addressed new and effective ways that the Air Force, Marine Corps and the military in general are targeting tobacco through various marketing efforts. The webinar is part of a month-long health observance and took place prior to the GASO that will occur on Nov. 20. GASO is observed yearly on the third Thursday in November. Long attests that tobacco use is the leading cause of preventable and premature deaths in this country. Tobacco Free Living is a sub-campaign within NMCPHC’s Health Promotion and Wellness Department that directly supports the Secretary of the Navy’s 21st Century Sailor and Marine Initiative and the Department of Defense’s Operation Live Well. Additional information and resources on tobacco free living are available through the NMCPHC HP Toolbox at: www.med.navy.mil/sites/nmcphc/health-promotion/pages/default.aspx www.med.navy.mil/sites/nmcphc/health-promotion/tobacco-free-living/pages/tobacco-free-living.aspx.